According to the new label line up and the new releases we relaunched our website and MySpace profile. More to our new partnership with Sebastian and Katrin shortly. We hope you like the new website and we will be happy about your feedback! TRUSTGAME signed with Limited Access Records! For their longtime awaited debut album, the German rock heroes TRUSTGAME have signed a record deal with the independet label Limited Access Records. 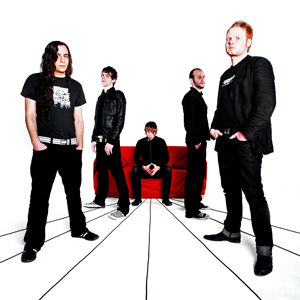 TRUSTGAME exists for more than ten years and are considered to be the big hope of the German rock scene. TRUSTGAME have left already impressive marks evidenced by numerous won competitions like Pop UP NRW and over 180 shows in their homeland and even in such different countries like South Korea or Poland. 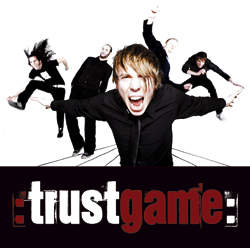 TRUSTGAME delivers the record of the summer 2008 with their pure emotional, intoxicating rock music! THE MYSTERY are confirmed for the DRAGONSLAYER festival!!! THE MYSTERY are confirmed for the DRAGONSLAYER festival on October 4th in Attendorn, Germany. Together with headliners like STORMWARRIOR, CIVILIZATION ONE and EVIDENCE ONE they will chase the dragons through the Schützenhalle! For all those who cannot wait, here the advice to buy a ticket for the great "Soulcatcher"-release party with mighty AXXIS, CIVILIZATION ONE, GUN BARREL, ORDEN OGAN and SCHATTENSPIELER on THE MYSTERY's Börsencrash Festival in Wuppertal, Germany on May 31st! You can order your tickets without any charges at THE MYSTERY's online shop or at www.metaltix.com! DAVIDIAN celebrates the release of "Hear Their Cries" on May 16th! The thrash metal band DAVIDIAN celebrates the release of their masterpiece "Hear Their Cries" on May 16th at the Manufaktur in Schorndorf, Germany. The bands CREATURES & SUBCONCIOUS are also confirmed. The album will be released on April 25 in Germany, Austria, Switzerland and Benelux through Limited Access Records. "Danish modern melodeath thrashers PITCHBLACK, who recently won an award for ’best debut album´(Designed To Dislike) at Danish Metal Awards, has ended the cooperation with guitarist Trold. He wanted to spend more time with his child and girlfriend. PITCHBLACK fully respect that and has already begun sessions with new guitarist. We want to make it clear, that we continue with 666 miles per our!!! Two new songs ’Revenge’ and ’I return’ has been uploaded on their MySpace website. Here you can also read the official statement from us and Trold"
"Unfortunately I don't like playing anymore live and I want to spend more time with my family. That is why I leave PITCHBLACK. It has been a hard decission and something I have thought about for quite a while. It´s a ’happy divorce’ and I wish all the best for my friends in PITCHBLACK"
New distribution partner in Benelux! 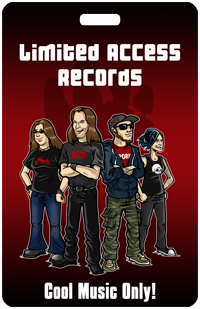 From now on Limited Access Records is distributed in the Netherlands, Belgium and Luxembourg by Sonic Rendevouz. Sonic Rendevouz is active since 1995 and distributes famous labels like Fat Wreck Chords, Alternative Tentacles or Trisol. Limited Access Records is very glad about the business relationship.